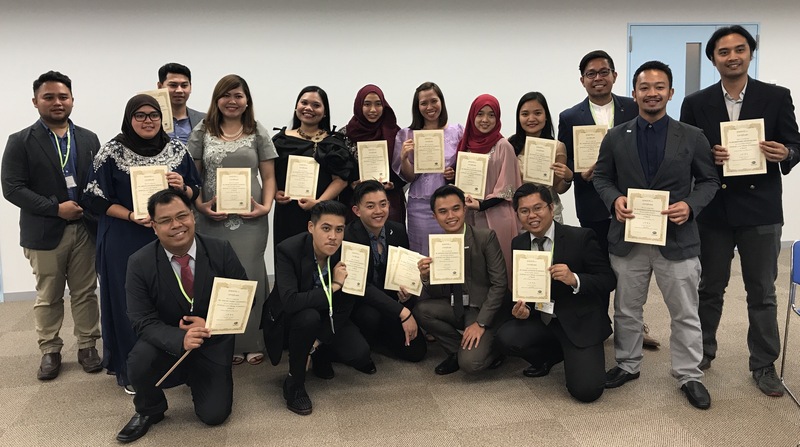 This was the core realization of the Philippine delegates to the ninth batch of the Japan-East Asia Network of Exchange for Students and Youths (JENESYS). In a fitting end to a productive nine-day good will exchange program, this line was part of a four-minute speech delivered during the action plan presentation on May 22 in Tokyo, Japan attended by delegates from Brunei, Cambodia, Laos, Myanmar, Philippines, Singapore, Thailand, Timor Leste and Vietnam. After the workshop presentation, a farewell party followed with overflowing food and drinks in an atmosphere of cultural openness and friendship. Everyone joined in the community dances which showcased differences and similarities in culture and heritage. The Philippine delegation presented a three-minute dance which captured the Filipinos love for festivals, traditions and inherent traits of being compassionate and hospitable.